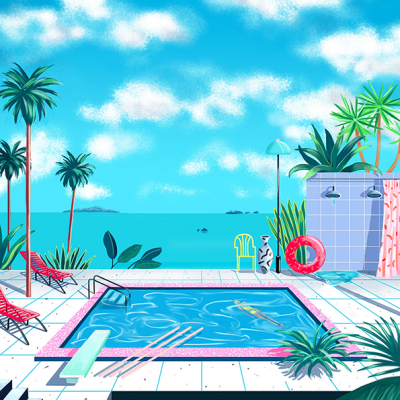 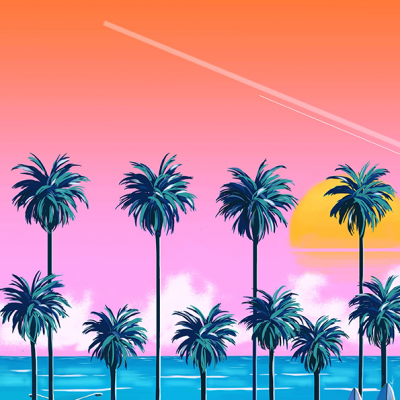 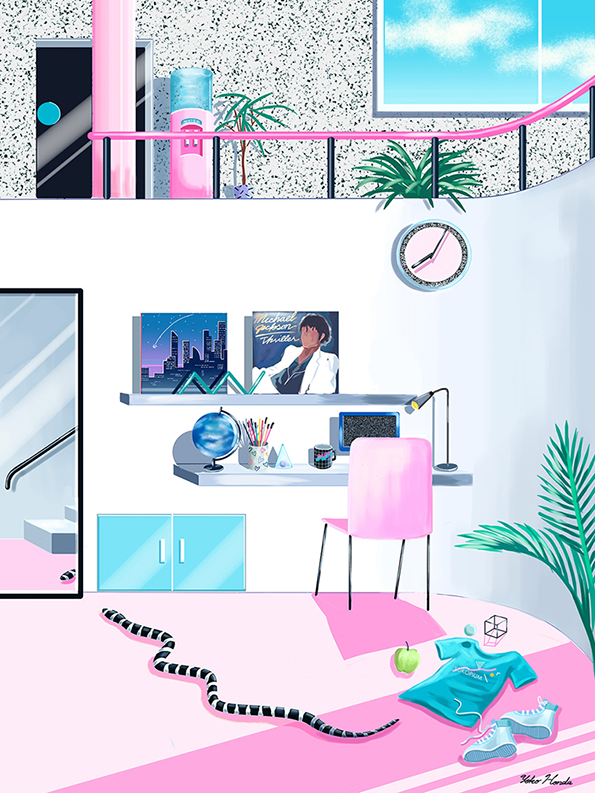 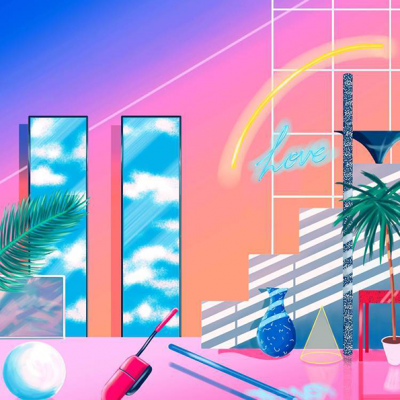 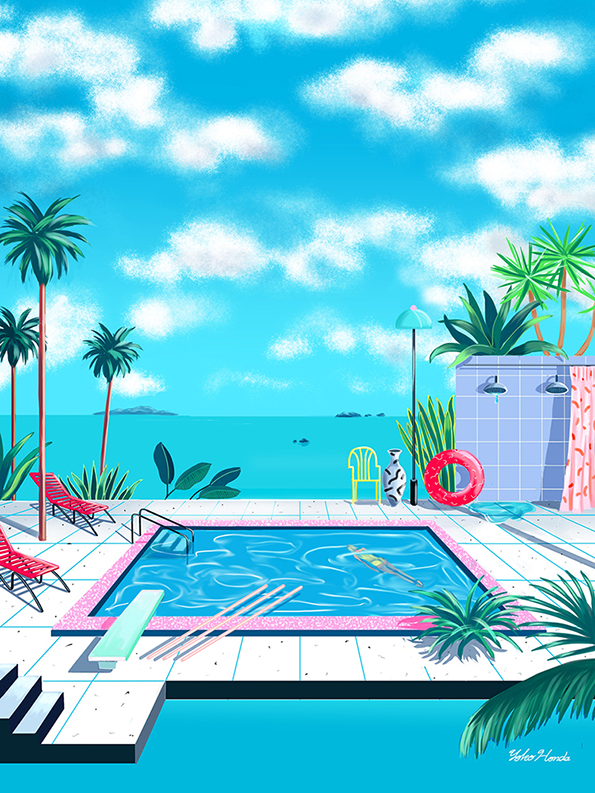 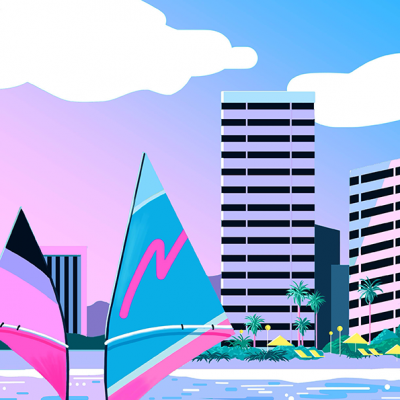 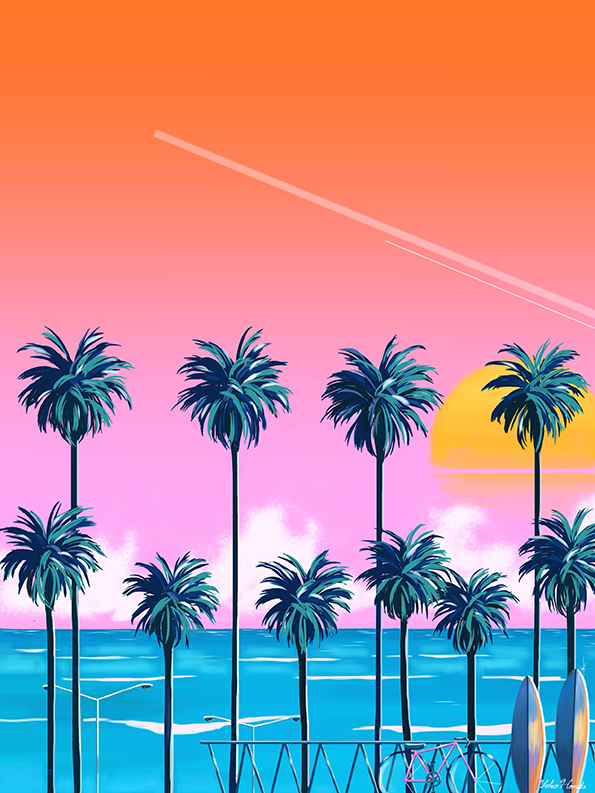 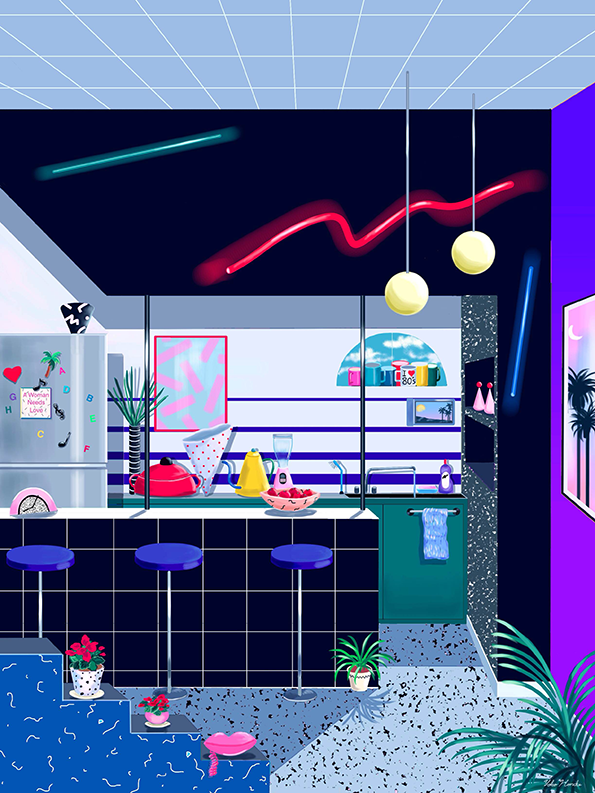 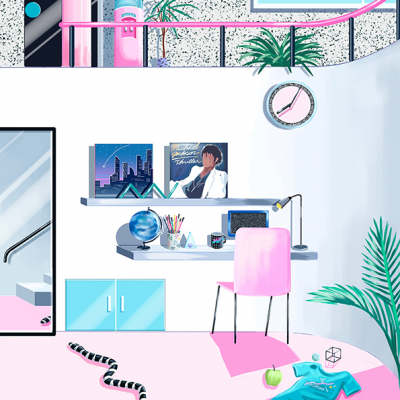 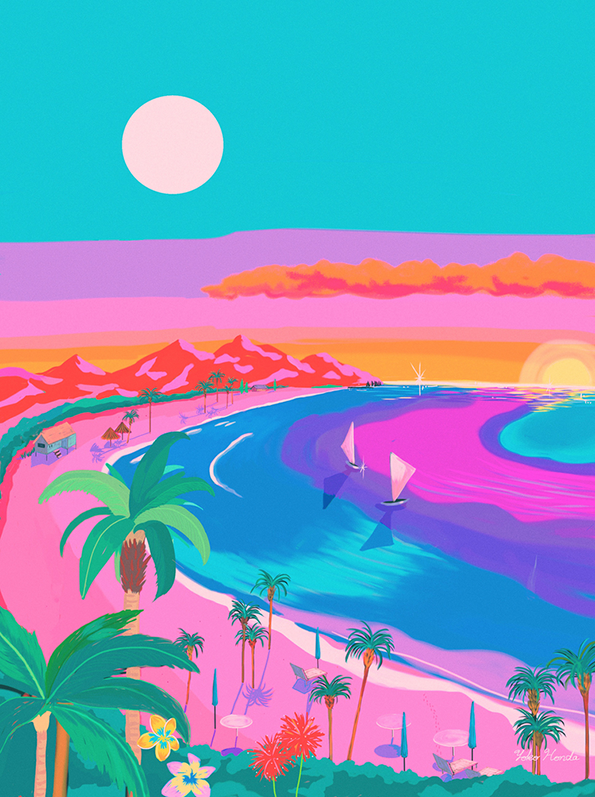 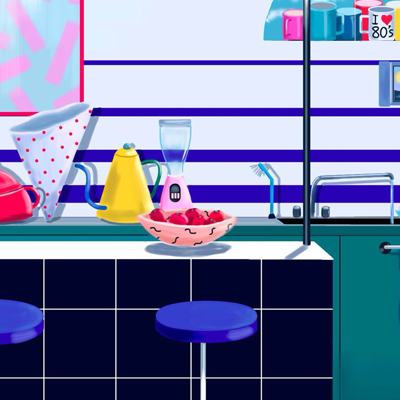 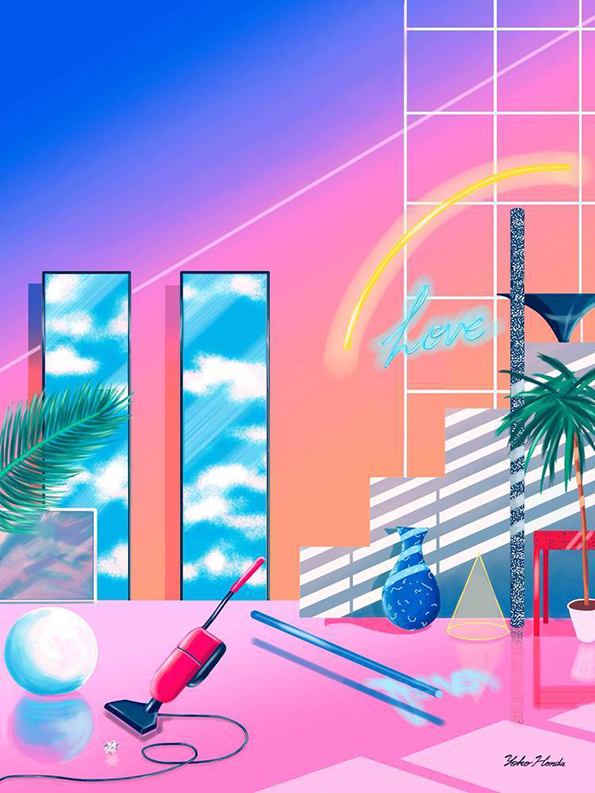 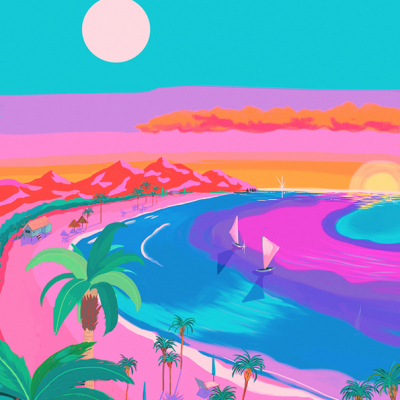 These digital paintings by Yoko Honda pay homage the affluence and excess of the 1980’s. 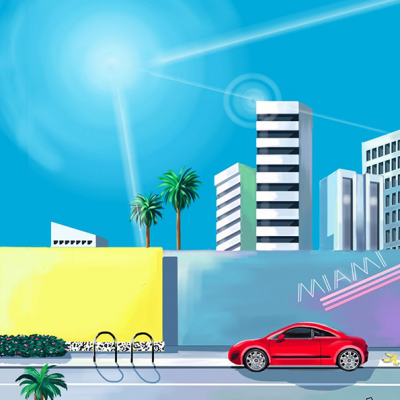 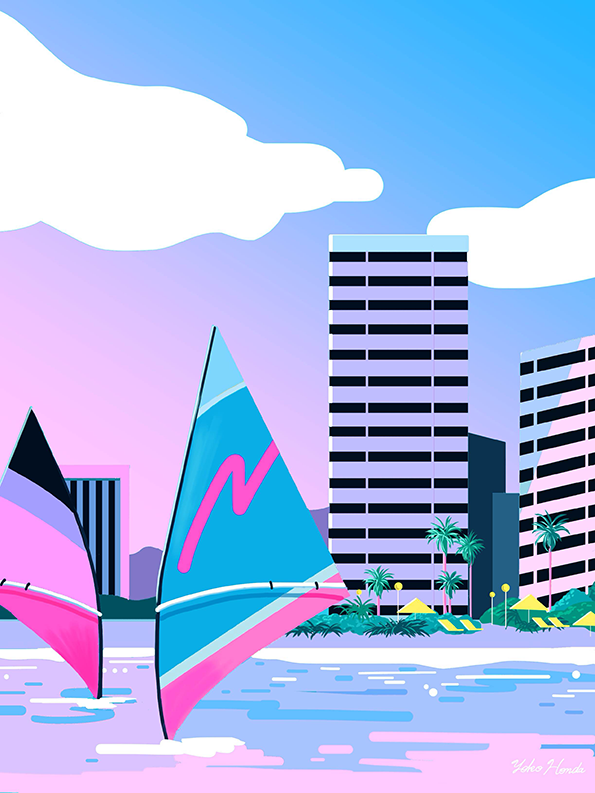 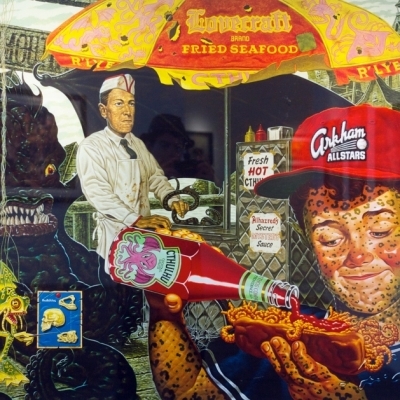 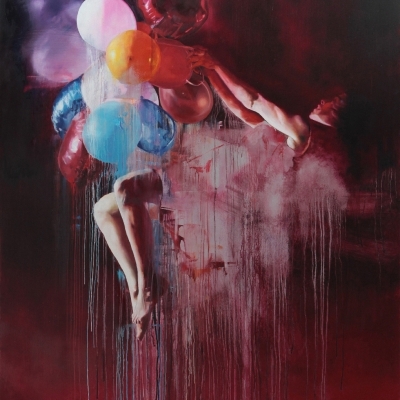 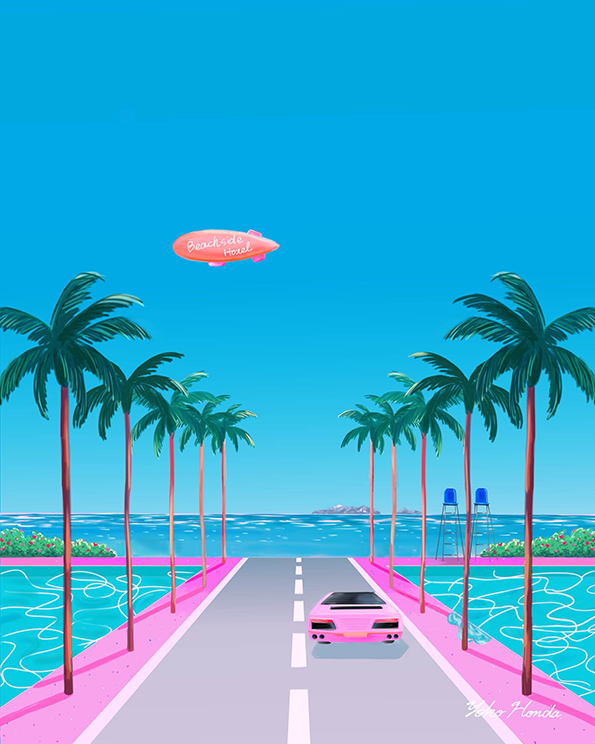 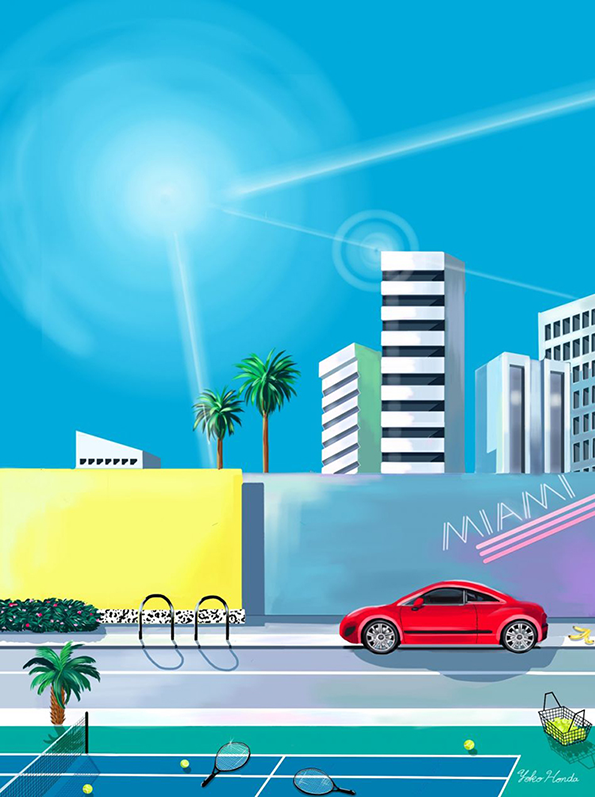 The Tokyo based artist was inspired by idealized visions of Miami and Los Angeles, commonly portrayed in 80’s pop culture. 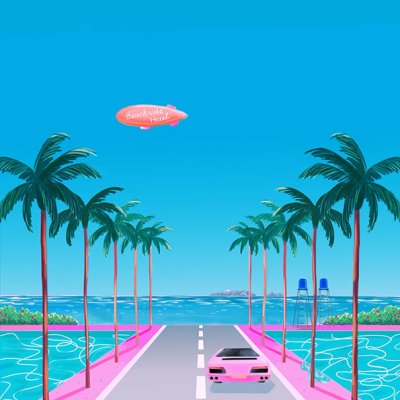 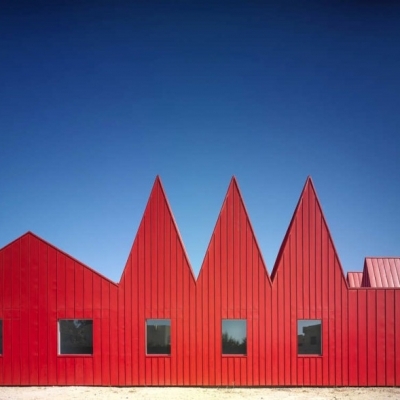 Honda began to uploading her work to Instagram in 2013, since then her carrer has taken off, including a commission by Australian skateboarding company, Afends. 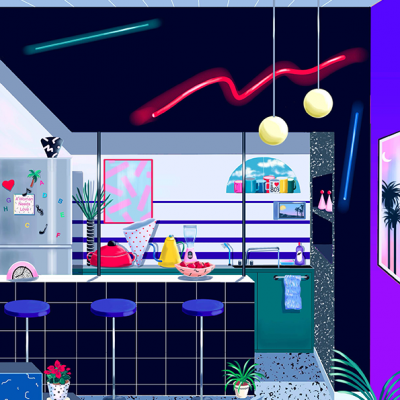 Follow her Instagram feed for a steady flow of colorful illustrations.